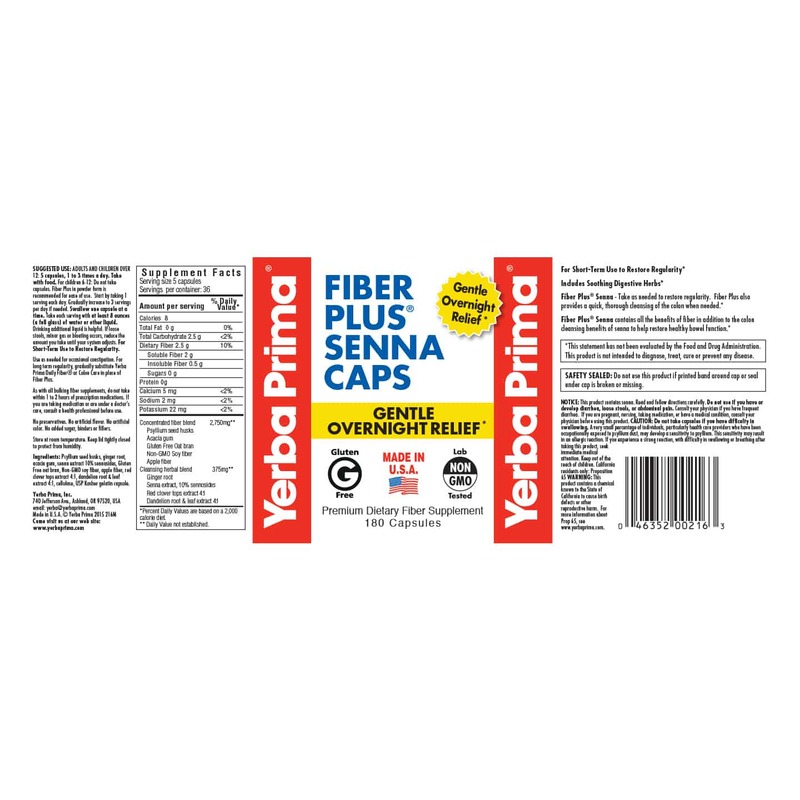 Fiber Plus Senna is Yerba Primas most powerful formula to restore and promote regularity. 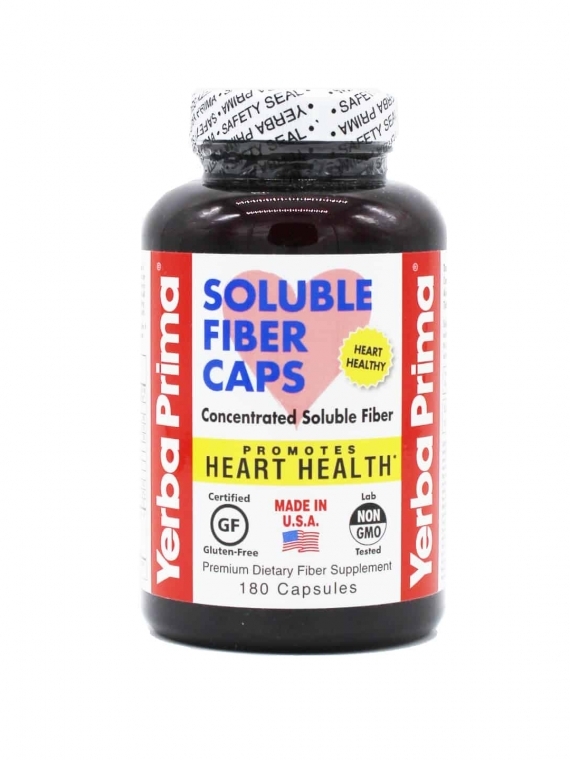 It contains all the benefits of fiber, plus the additional colon cleansing benefits of senna, in a base of purifying herbs to soothe the digestive system. 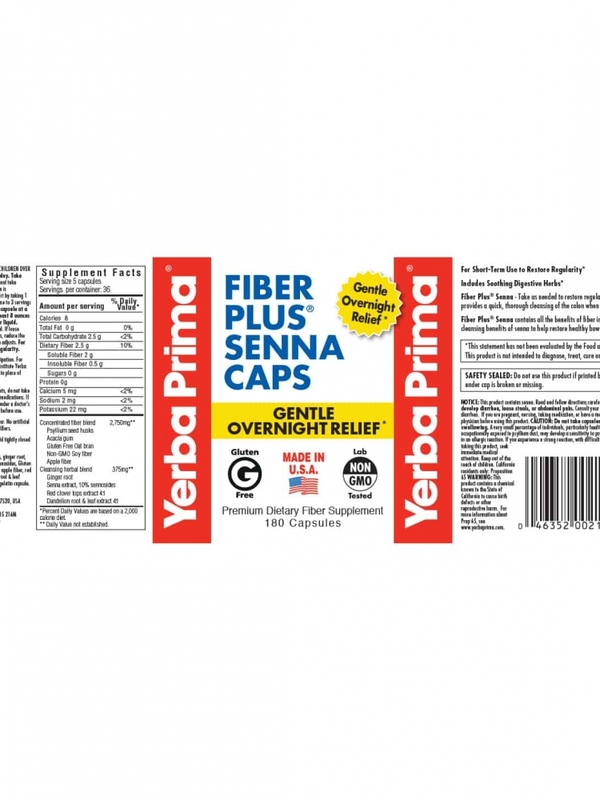 Fiber Plus Senna provides a quick, thorough cleansing of the colon when needed. 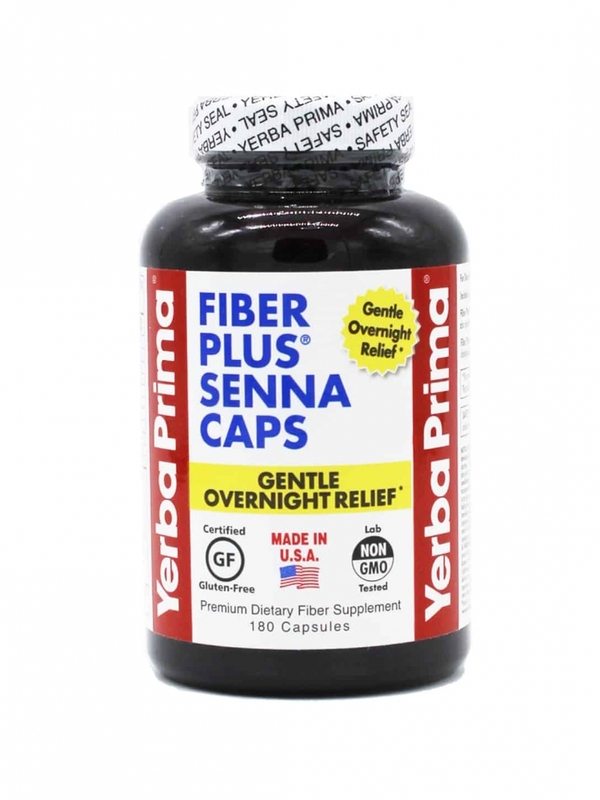 Fiber Plus Senna purifying herbs provide additional balance and cleansing support. Ginger root soothes the digestive system to minimize discomfort, and also promotes proper digestion. 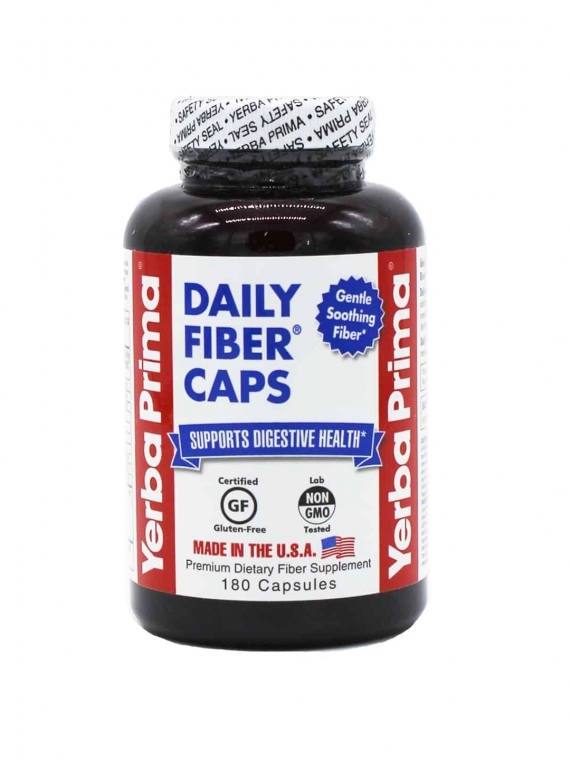 Dandelion and Red clover help support the cleansing function of Fiber Plus Senna for maximum benefits. SUGGESTED USE: ADULTS AND CHILDREN OVER 12: 5 capsules, 1 to 3 times a day, with food. For children 6-12: Do not take capsules. 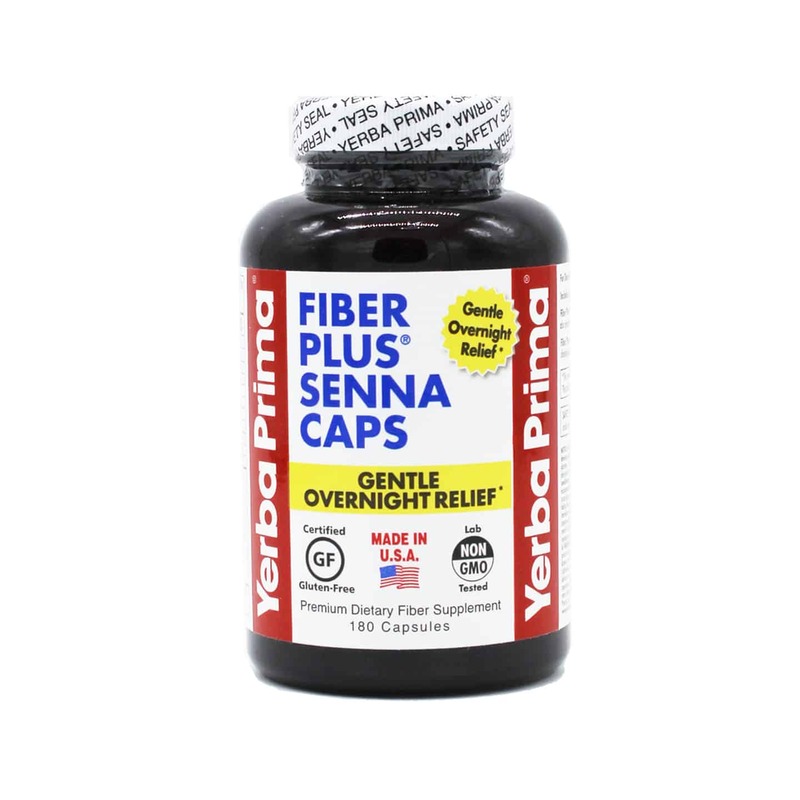 Fiber Plus Senna in powder form is recommended for ease of use. Start by taking 1 serving each day. Gradually increase to 3 servings per day if needed. Swallow one capsule at a time. Take each serving with at least 8 ounces (a full glass) of water or other liquid. Drinking additional liquid is helpful. If loose stools, minor gas or bloating occurs, reduce the amount you take until your system adjusts. NOTICE: This product contains senna. Read and follow directions carefully. Do not use if you have or develop diarrhea, loose stools, or abdominal pain.Consult your physician if you have frequent diarrhea. If you are pregnant, nursing, taking medication, or have a medical condition, consult your physician before using this product. CAUTION: Do not take capsules if you have difficulty in swallowing. 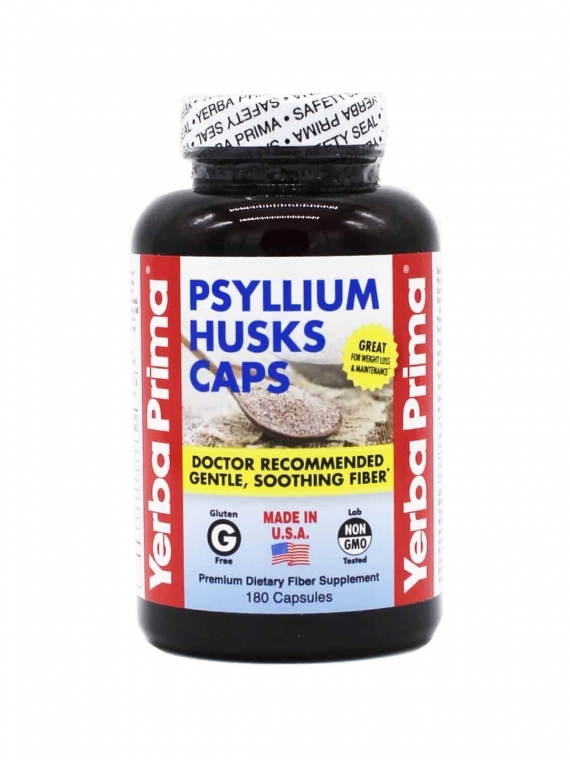 A very small percentage of individuals, particularly health care providers who have been occupationally exposed to psyllium dust, may develop a sensitivity to psyllium. This sensitivity may result in an allergic reaction. If you experience a strong reaction, with difficulty in swallowing or breathing after taking this product, seek immediate medical attention. Keep out of the reach of children. 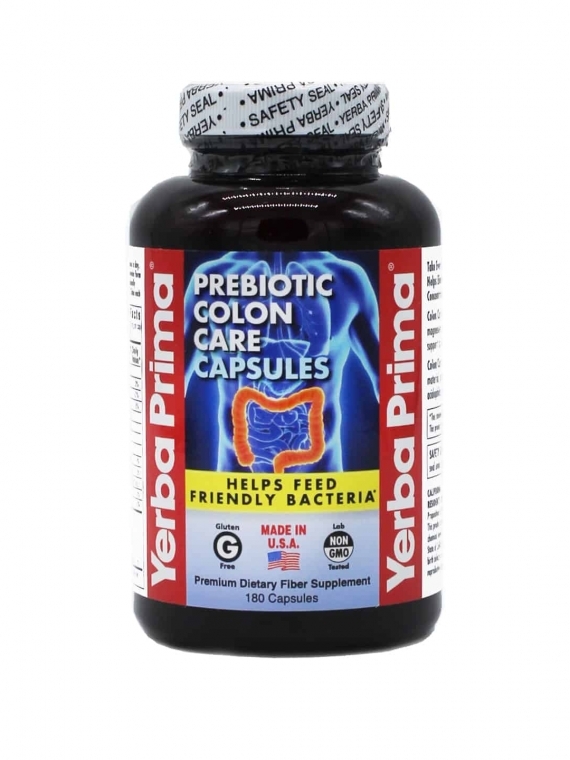 Ingredients: Psyllium seed husks, ginger root, acacia gum, senna extract 10% sennosides, Non-GMO soy fiber, Gluten Free oat bran, apple fiber, red clover tops extract 4:1, dandelion root & leaf extract 4:1, cellulose, USP Kosher gelatin capsule.